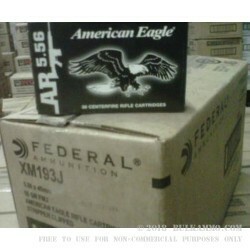 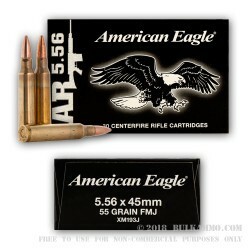 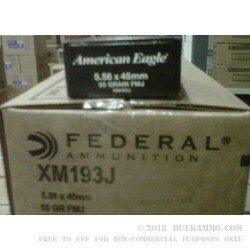 Finally, a box of 5.56 ammunition that will actually fill a 30 round magazine without having to crack another box open! 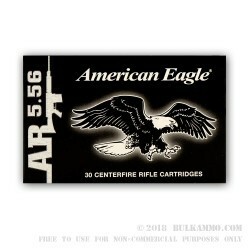 One of the most annoying things that happens with an AR15 is cracking open a box of ammo to fill a 30 round magazine...and then having to crack open another box, because most only hold 20. 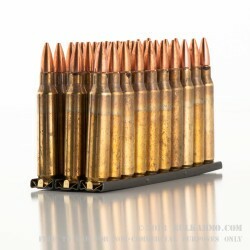 That frustration is over with these 5.56 rounds from Federal, which are packaged in handy boxes of 30 on stripper clips of 10 rounds each. 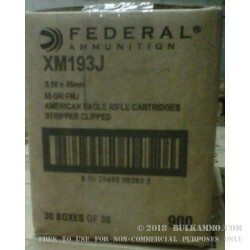 Finally, one box fills a 30 round magazine! 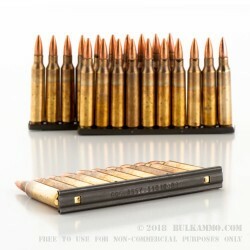 Additionally, these rounds are loaded to the M193 standard, which was the standard issue round for the US military for over a decade with the M16 and M4 carbine. 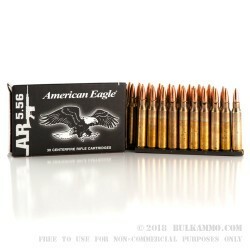 These 55 grain 5.56 rounds will deliver excellent accuracy and reliability out of all properly manufactured M4-style AR15 rifles. 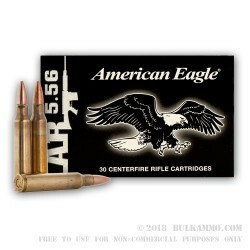 They are also suitable for small game and varmint hunting. 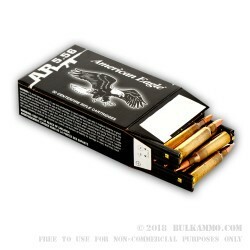 These rounds are loaded in new manufactured brass cases from Lake City with non-corrosive primers, and come packaged in boxes of 30, with the rounds pre-loaded on to 10 round stripper clips.